Sometimes words have the power to stop your life and everything within it. To not just halt you in your tracks but to make you consider that just like a record flipped over onto a new side, your being has just two parts: before those immortal words, and the faint coming-to-terms with life afterwords. Like waking from a vivid dream to the realisation of reality the bitter cruelty is trying to keep hold of that feeling – the nanosecond wonder of that new experience – even though it is forever disappearing with time’s cruel blow. It’s futile but I love those moments when you’re scraping at memory, desperate to keep that pure feeling. Just for once. 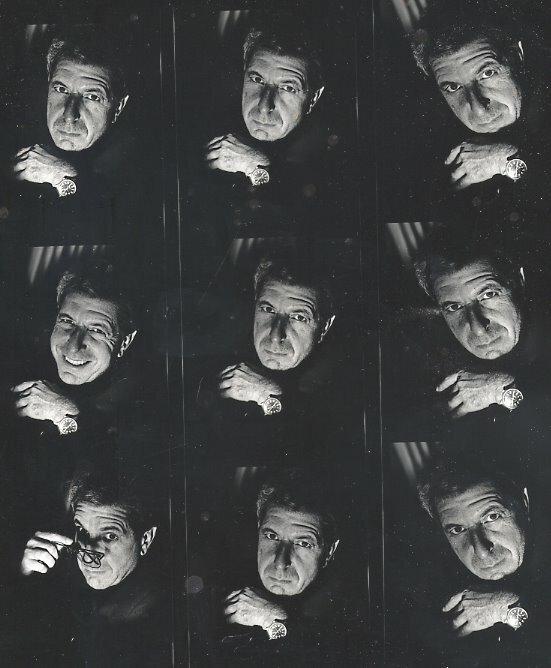 Leonard Cohen has a voice that delivers sermons and words to calm beasts. Starting out as a writer it was a full decade before he first put his words to music. ‘I Heard a Voice’ is from his first collection of poetry, Let Us Compare Mythologies, published in 1956 when he was just 22. Every time I read these words they cut me dead. Hearing Cohen recite them decades later is like tasting lemon drops.